Palestine during the late 1930 carried the weight of many congruent and interlocking struggles that had been occurring internationally since the First World War. 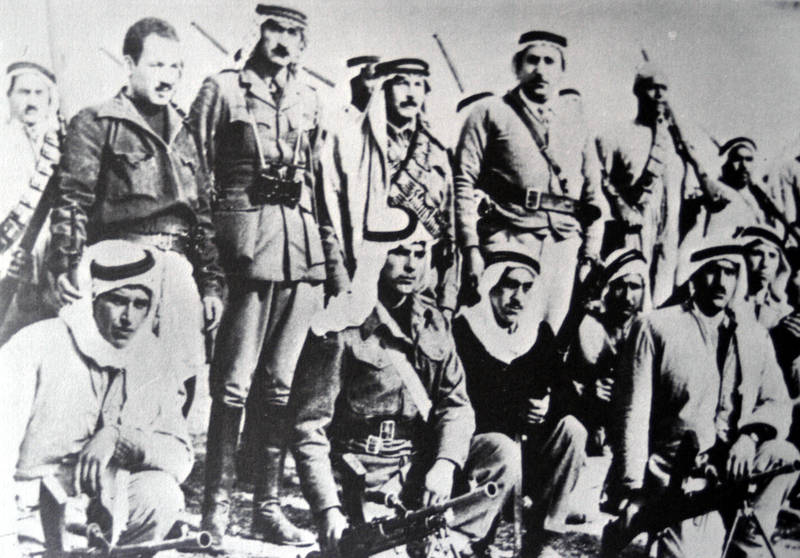 The events occurring were culminating with the cross continental Second World War occurring simultaneously when Britain’s grip on mandated Palestine, as well as other former colonies, were beginning to fall apart at the seams due to insurrectionary activity amongst the populations of Zionist settlers and indigenous resistance groups that began to formulate a form of Palestinian nationalism. 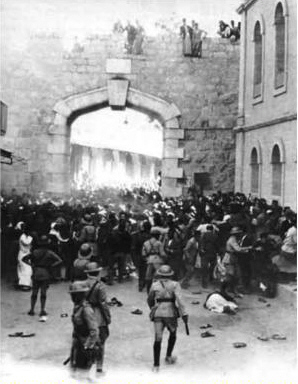 As the state of mandated Palestine begun to emerge itself into chaos from the riots surrounding the 1936 Palestinian General Strike, we begin to see reprisal attacks and assassinations increasing of Zionist on Arab violence, to Arab on Arab violence, to Arab on British violence, and to Zionist on British violence, confusing the very sectarian atmosphere that was precipitating across the country. These attacks became much more coordinated and thought out causing the British to increase its surveillance capabilities and mobilize state men to begin mediating the strife that was continuing from the colonial path of the Zionists as well as the Imperialistic interests of Britain for peace between their subjects. One illustration that sheds light to really how the British viewed these resistance groups and Zionist militias are declassified reports from William Denis Battershill, the High Commissioner for Palestine, to Lewis Vernon Harcourt, the Secretary of State for the Colonies. In these reports to the Secretary of State for the Colonies, Battershill gives us insight not only to the mass surveillance efforts and subjugation of all whom oppose the British empire with presumed prejudices to certain demographics, but as well as his reaction to the assassination of his two colleagues, Mr. L. Y. Andrew and Mr. P. R. McEwan, the Commissioner of Galilee and the British Constable. In these reactions I believe that we can begin to draw the both paternalism and favoritism that was known throughout British rule of mandated Palestine between the Arab population and the Jewish Settler population to whom the British government backed it’s legitimacy with their colonial project. “used [his] powers under Regulation 12 of Defense Regulations 1936 and prohibited the use of all telephones- except a very limited number of official consular lines- for the purpose of effecting or receiving trunk calls with and from countries outside Palestine. This precaution prevented the spread of untrue and exaggerated reports being sent out of Palestine to the foreign Press and elsewhere in neighboring Arab-Speaking countries; and with the same object in mind, I also ordered censorship of all press telegrams to Egypt, Syria, Lebanon, Trans-Jordan, Iraq and Saudi Arabia and further of all local telegrams containing messages of political nature. And although he had enacted a large scale operation of censorship and intimidation amongst the Arab speaking countries and communities, we see him “not impose[ing] a censorship on press telegrams to Europe and I am glad to say that, with few exceptions, the local correspondents of the British and European Press were commendably restrained and accurate in their reports.” From this point in the report we begin to actually move past Batterschill’s formalities that still mark the beginnings of his brief career filling in as High Commissioner to his own personal views upon the specific demographics, and how these views echo the greater Eurocentric view that would encapsulate a colonial governance in Palestine. This favoritism begins to arise frequently throughout his report which maps out much more of a way of Britain viewing the Arab’s as savages and the Zionists, although leading similar terrorist campaigns, as a much more civil group, we can see this thought process come out within his engagement upon whether or not to censor and intimidate the Jewish press much like the Arab press. We begin to see that the British Colonial Government at the time viewed the Jewish Press “on different lines, [where it has] been equally circumspect” and that the British acknowledged that the Jews “view was that Government was pursuing a policy long advocated by the Jews and that the Arabs were at last reaping where they had sown. At the same time it has been clear that the Jewish editors have made some effort to keep their comments within the bounds of reason and decency” with exception to the Revisionist Zionists. This preference that the British began to give both British and Jewish press against the open intimidation and censorship of the Arab press led unsurprisingly, as Birchill reported, “the Arab population here is losing faith in the accuracy of these reports” in reference to any press. This censorship as we see restricted Arab organization and resistance, as well as simultaneously rekindling the flame surrounding organization and resistance by Arab groups through this dissatisfaction and disorganization. 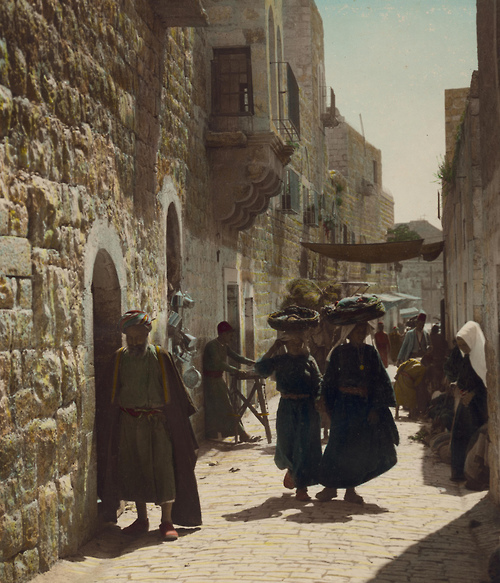 With this preference to one side, we begin to unravel the actual attitudes that British officers had during this time period both towards the Jewish population as well as the Arab population. Throughout the report we see the mechanics of whom really was under the jurisdiction of the British law unequally, where according to Brischell, “The 26th and 29th were spent in checking up such terrorists and undesirable politicians who were still at large by the end of Wednesday we had “picked up” the following persons- Haifa, Rural, Acre: 61, Samaria: 31, Galilee: 104” where it would be a healthy assumption that the majority of these persons being “picked up” are those whom Arab High Commission where fighting to get released. We see the manor in which Birschell speaks of the Arab High Commission surrounding both its announcements of sympathy with the victims and demand of the release of those unlawfully imprisoned because of the incident, Brischell refers to those who the Commission desires to have released as “political undesirables.” In side step with addressing the “political undesirables”, we see that the British had an extensive surveillance apparatus that attempted to ensnare key members of the Committee who simultaneously where affiliated with the Arab Bank Limited. This attitude and statement sheds light upon many different mechanisms of oppresion that the British Colonial State grappled with implementing where they were beginning to see the Jews in the right of this land due to the legitimacy of the British crown as well as the similarities between the European Jews and the British compared to the the major difference between the ‘barbaric’ Arabs and the Westerners “moral plane”. Battershill, William D. ““Narrative Dispatches from the High Commissioner for Palestine to the Secretary of State for the Colonies : Reporting on the Situation in Palestine From 26th September 1937 to 31st December 1938. Part 1.” Confidential Print: Middle East. Archives Direct, n.d. Web. Narrative Dispatches from the High Commissioner for Palestine to the Secretary of State for the Colonies : Reporting on the Situation in Palestine From 26th September 1937 to 31st December 1938. Part 1. This entry was posted in History, Imperialism, Israel, Palestine, Settler-Colonialism, Surveillance and tagged 1936 revolt, Academic Paper, British Mandate, colonization, Israel, Palestine, Settler-Colonialism, surveillance. Bookmark the permalink.